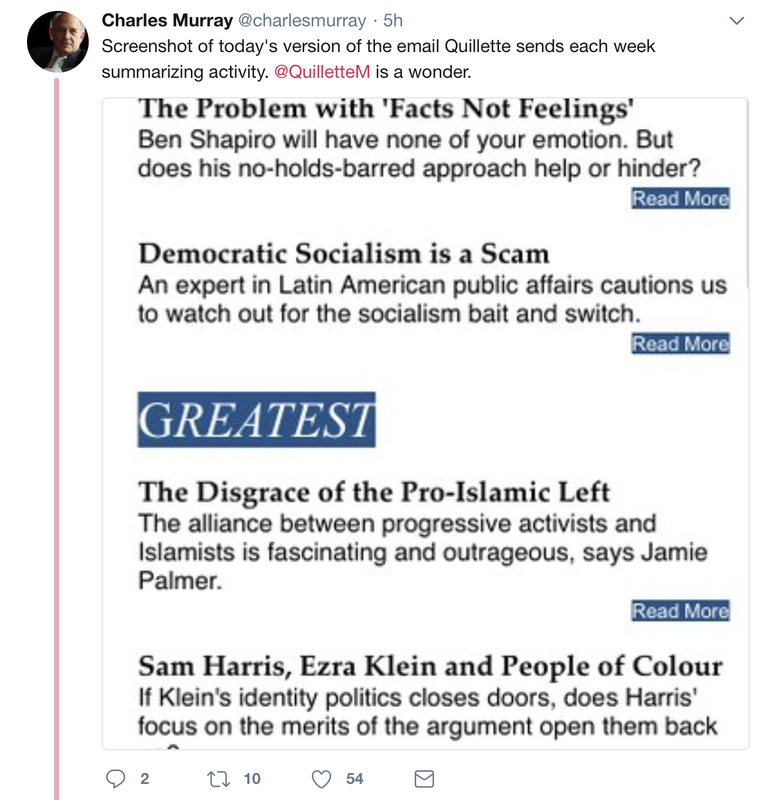 Like Steven Pinker and Sam Harris, Charles Murray is also a fan of alt-right Quillette, home of some of the world's most prominent hereditarians, "race realists" and "biosocial criminologists." 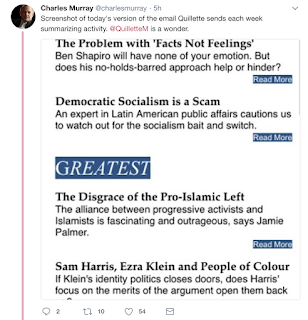 Murray is of course most famous for The Bell Curve from twenty years ago, written with lots of studies funded by white supremacist organization The Pioneer Fund. 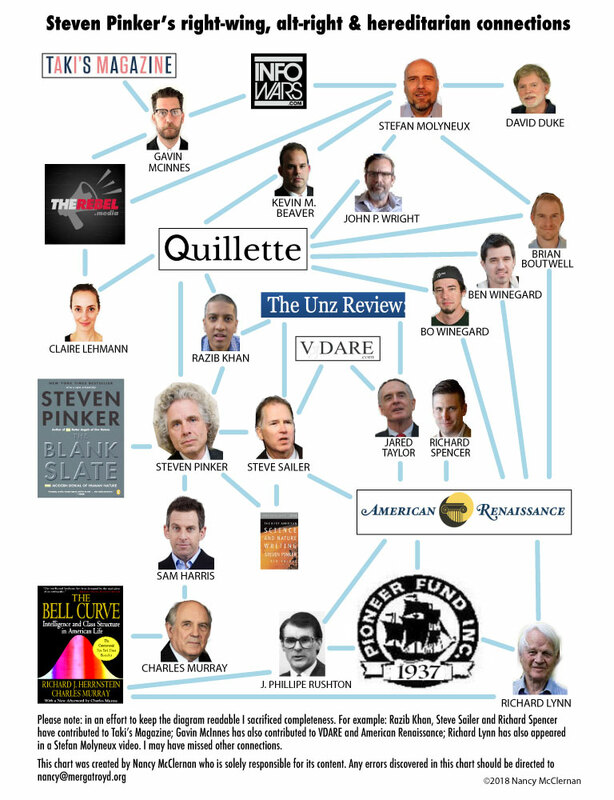 I knew many articles first published in Quillette found a second home at the white supremacist publication American Renaissance - what I didn't realize was the number of Quillette articles are republished there.